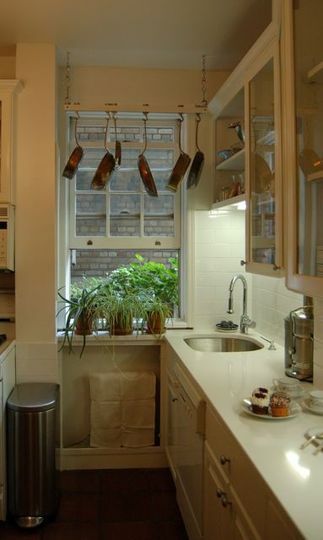 What makes some New York City apartments great is the unique ways small kitchens are designed. This tiny apartment kitchen is cozy, clean and functional. A cool and eclectic eat-in New York City apartment kitchen. 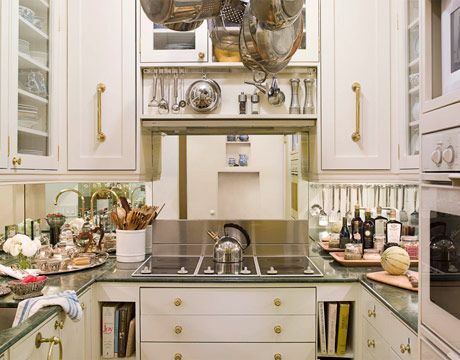 A bit more spaciousness is featured in this New York City apartments kitchen. 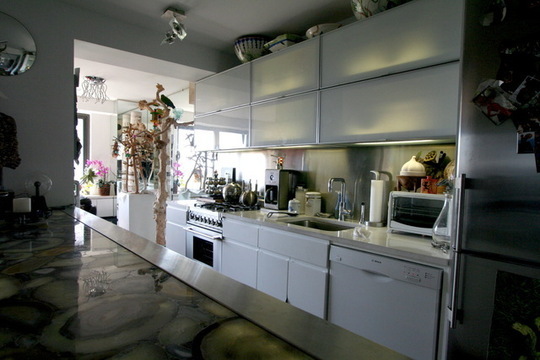 White and clean with an unusual counter top (in foreground). These three images via Apartment Therapy. Another unique modern kitchen with lots of space. 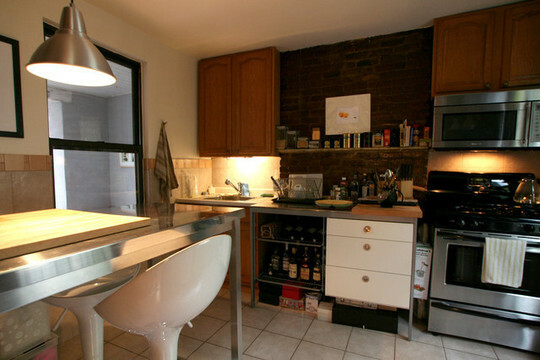 Love the deep dish sink and the butcher block counter tops. 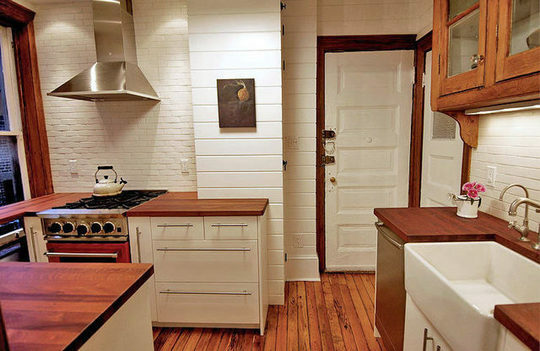 The wood floors set off the country feel in this New York City apartment kitchen.